This is a sharp and crisp condition Remington Army, the type generally issued and used by Civil War Cavalry during the Civil War and afterwards by US Cavalry, buffalo hunters, trappers, scouts and mountain men on the western frontier. 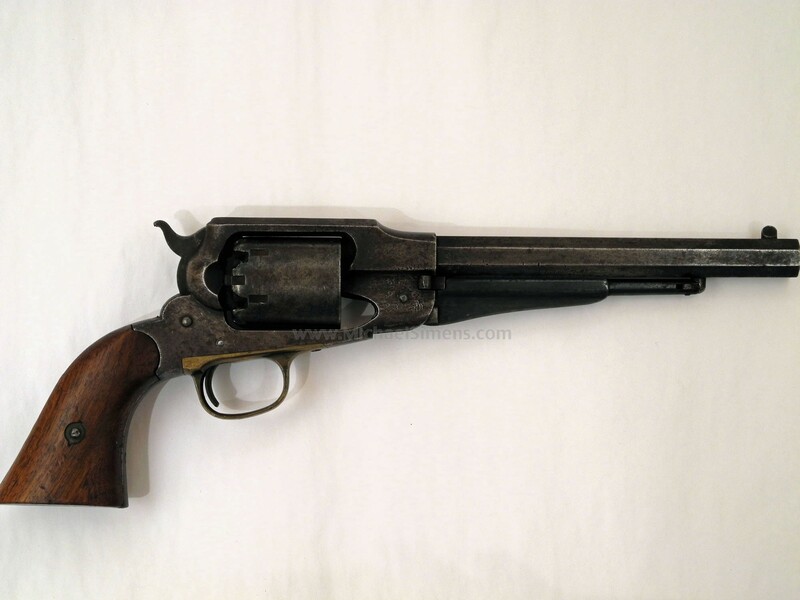 These were probably the finest built revolvers of the Civil war period. This gun is very good and would be considered fine if it had any original finish remaining. 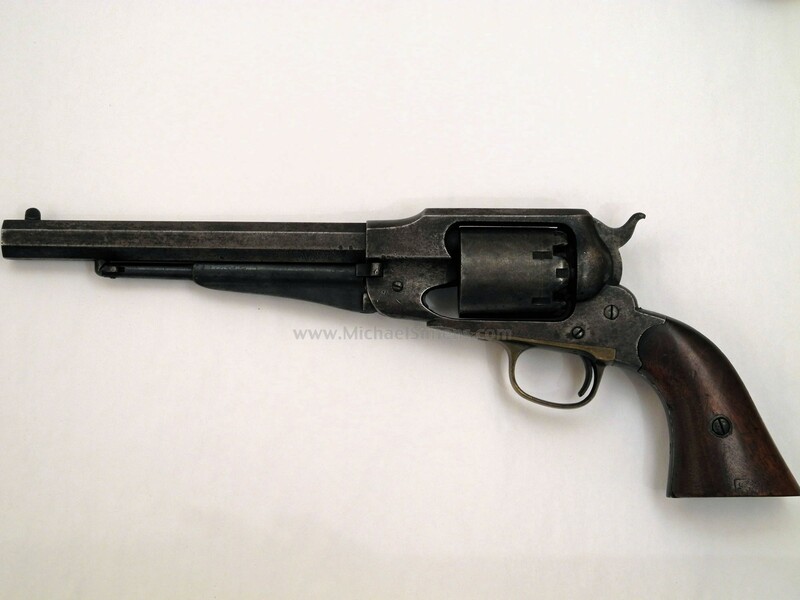 The gun is extremely sharp and crisp showing very strong markings, a perfect action and beautiful grips with a sharp, single cartouche to the left grip. A really nice gun for the price in a dark gray patina finish. Loading lever does show finish and appears to have had a stronger blue at the time of manufacture or it's an original arsenal replacement. A really strong and crisp gun.